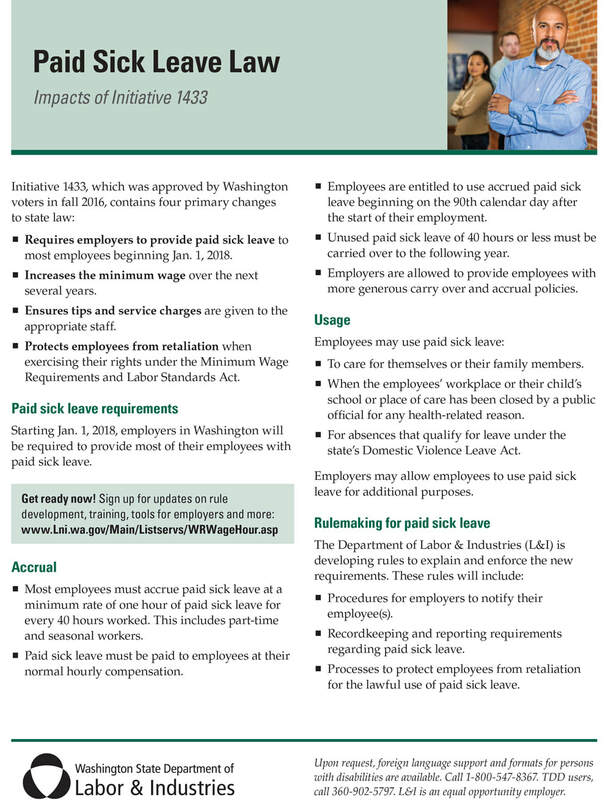 New required L&I workplace posterIn November, Washington employers will receive an updated Your Rights as a Worker poster in the mail. 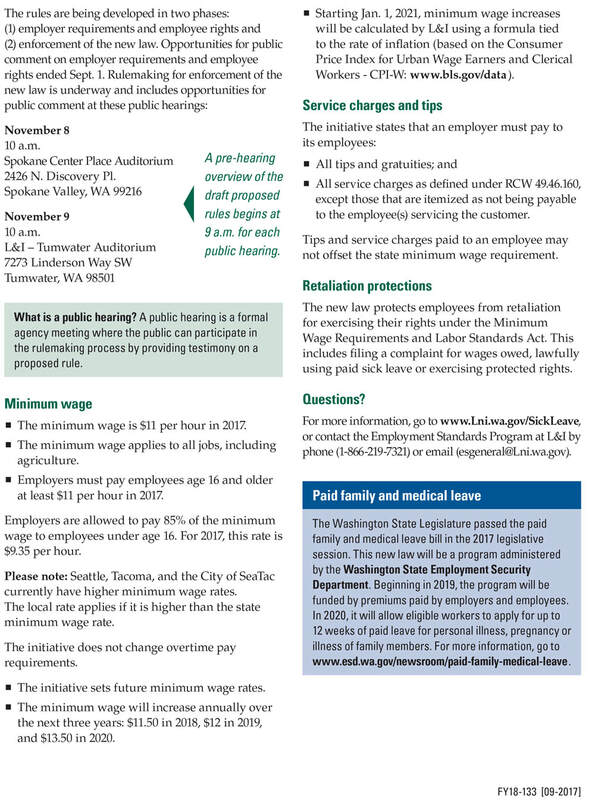 The poster includes information about the new paid sick leave requirements, minimum wage and protections for employees against retaliation. Please post it immediately in a visible, accessible place at your worksite.